Each project is a unique response to the client’s lifestyle and programmatic needs as well as site characteristics and surrounding context. We create buildings that harmonize with their environment and dovetail into existing buildings when necessary. Styles are based in classical and traditional forms and designed for a modern lifestyle. As an original home within this historic community, we were asked to restore the home and add period correct elements. The project included interior work, extensive exterior work and site development. Set within a beach front community this house borrows from Palladio while responding to the modern lifestyle. The rooms connect without losing their definition so the spaces feel comfortable and peaceful. Our clients presented us with the challenge of restoring this historic Queen Anne Victorian. Originally a private residence and converted to executive offices in the 1980's. All interior walls and finishes were removed, restored when original and replicated when missing. The overarching goal was to make all the work appear original to the building for a seamless restoration. The scope of this project encompassed a new kitchen, a family room, a mudroom, a two-car garage, and a master suite. The project also involved renovating existing space to create an informal dining area, a butler’s pantry, a garden room and a laundry room, as well as adding an en-suite bathroom to an existing guest room. 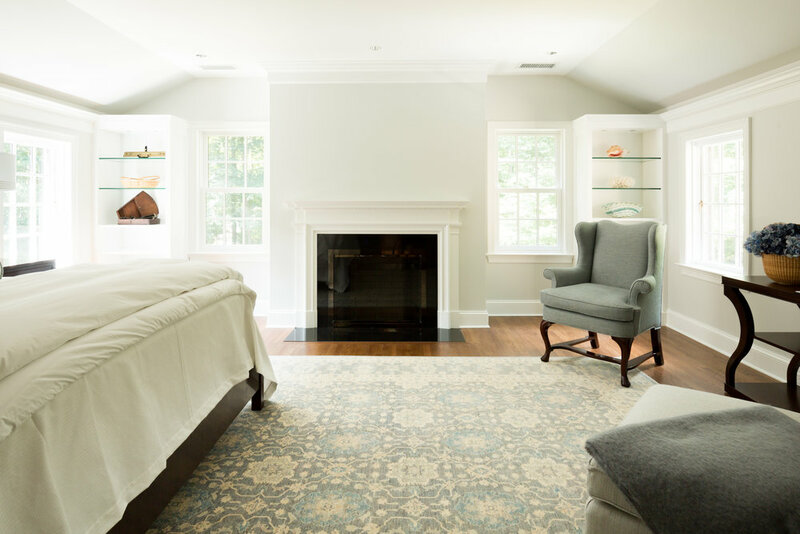 The owners of this Colonial single-family residence were seeking greater functionality, including more storage and casual living spaces to complement the formal areas in the existing house, which had seen multiple renovations and additions prior to our engagement. This classically designed Pool House includes a Sitting Room, Kitchenette, Bedroom and Bath. The floor to ceiling windows and vaulted ceiling make a small space feel grand and filled with light.